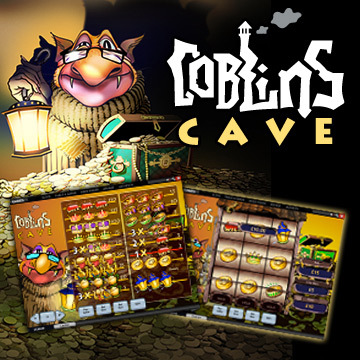 Goblin’s Cave Slots game is an amazing game created by the famous creators of online slots games – PlayTech. It is a nice bonus, video slots type of game, where you have 3 reels and 3 paylines, which is not the ordinary type of slots machine. The winning combinations of the game are 16 and, with the three reels, three paylines and only 6 symbols in the game, I would say that you are in for the win. However the winnings are kind of small, as the big jackpot is only 150 coins and the second jackpot is of 125 coins. The coin sizes are varying from $0.01 to $5.00 and the max coin amount you can bet is 5, which makes the highest bet of $15.00. 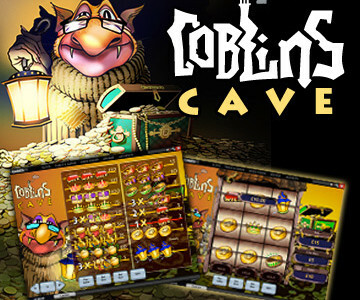 The theme of the game is goblins, and the art of the game is pretty good. The symbols are of a coin, a lantern, a jug, a ruby ring, a crown and a ruby. There is also a wild symbol, which is the red diamond. A thing I find very interesting in the game is the bonus game on the second screen, which is choose a chest, and the bonus game on the reels, which is hold. There is also an autoplay mode.